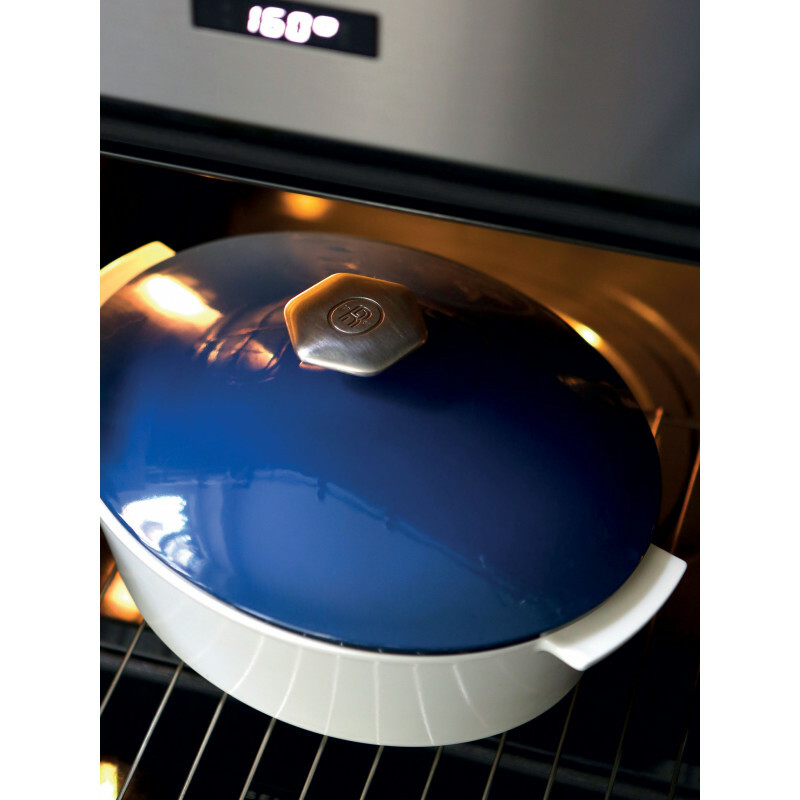 This blue, large, oval, ceramic Dutch oven is made of high-performing porcelain and can function on induction (all brands), stove top, electric top, oven and microwave. REVOLUTION 2 is ceramic cookware, and an improved version of REVOLUTION and this blue is a new color that came along in the collection. 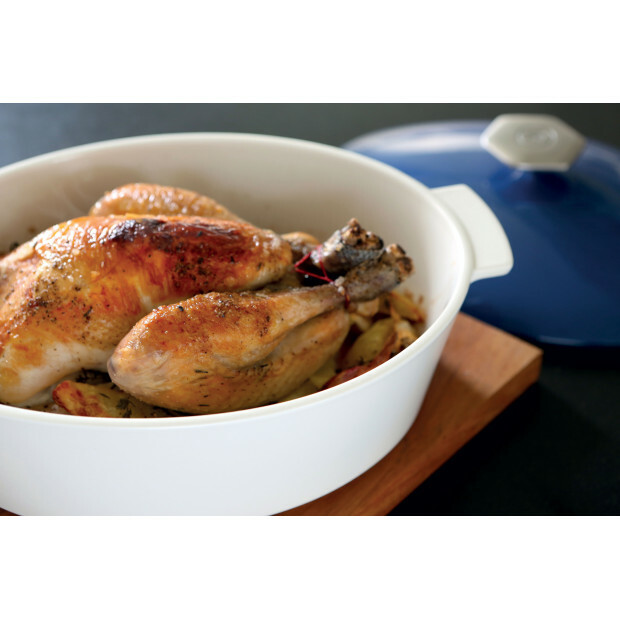 Twice lighter than cast iron, your casserole does not need any special seasoning, will not scratch nor rust and will cook and bake your food respecting their nutritional content. It will become your healthy cooking ally. 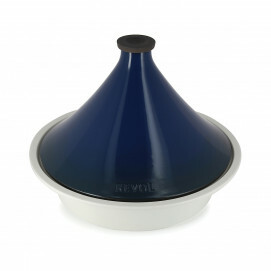 The lid is made of black porcelain, glazed with blue, and the stainless steel handle allows an easy grip. Because of the material used, the dish is 100% food safe: it does not release any chemicals nor any other toxins. 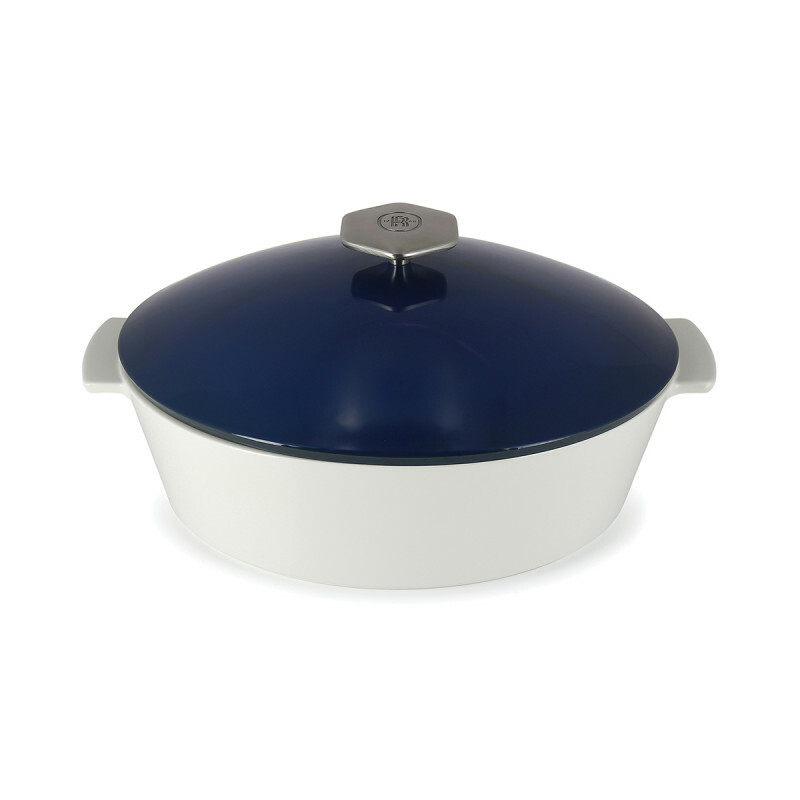 Bring some modernity to your table with this beautiful oval blue Dutch Oven! Also available in round and in other colors. 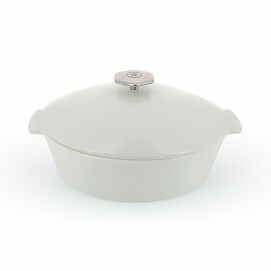 Revolution is definitely the best ceramic cookware you can find in the market, and will last for years. You want more colors, more sizes? See the whole colorful collection ! 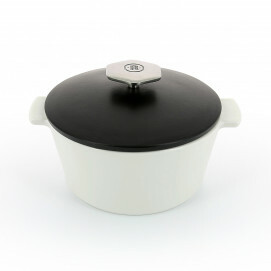 VERSATILE AND PRACTICAL: this Dutch oven is for an everyday use since with one dish it can be used in every heat source including induction, stovetop, electrical unit, oven and microwave (without the lid).